The Promax SL Heat is a regular gas boiler designed and manufactured by Potterton. 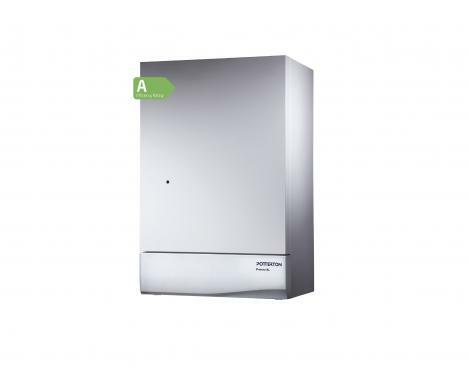 This boiler is a condensing wall mounted unit with an output of 18kW and an efficiency class of 89.4% making it a B rated boiler. This unit also has the best N0x class. It is a perfect boiler for any sort of home with it coming with a wide range of outputs such as the f 12kW, 15kW, 18kW, 24kW. It is a compact model, helping to make it perfect to fit in a standard sized kitchen cupboard. As well as it being compact, this boiler is also extremely light in weight helping to allow for a quick and easy installation. It also comes with a pre-plumbing jig to save you money on your installation bill. This unit has a wide range of features and options, some of these include the simple modulating plate and the no pump overrun. With it being compatible with Megaflo eco solar cylinders, this unit gives you more options in saving yourself money on energy bills. It comes with 2 years warranty as standard to give you that added security that you have bought a reliable boiler.